Is knowing you’re an egotistical, arrogant, self-centered, bike ridin’, blues lovin, obsessive compulsive mad man self-deprecation or self-awareness? I am condemned to a sun lit search for legendary, stopping off at the Spyhouse for a cup of dark roast, the latest Indigenous CD Broken Lands loaded, the bike tuned-up, my heart aching for the freedom of wind and weather. 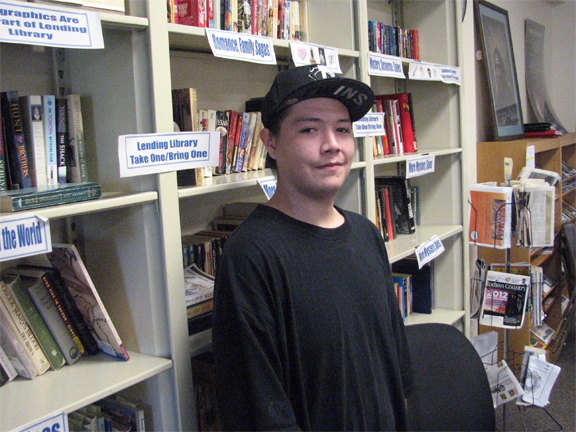 From the group’s beginning in his parents’ basement through the release of the 2006 Vanguard debut “Chasing the Sun”, Indigenous was a family band. But after that disc Nanji recruited guitarist Kris Lager, keyboardist Jeremiah Weir, bassist Aaron Wright, and drummer John Fairchild to tour the album. They also appear on Broken Lands, joined by drummer Kirk Stallings, percussionist Chico Perez, and Mato’s wife Leah Nanji on backing vocals. Producer Jamie Candiloro (Ryan Adams, R.E.M., Willie Nelson, the Eagles) completed the studio team. singing about integrity in a failing relationship. a blistering guitar solo and brilliant slide work. blood, mortality, magic and mystery, star blind sexuality. lights like I’m gonna live forever. 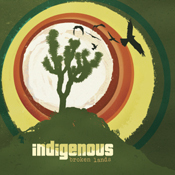 For more info on Indigenous, see: www.vanguardrecords.com.